Zee Fashionista: Where else will you be but The WKND Social? Where else will you be but The WKND Social? 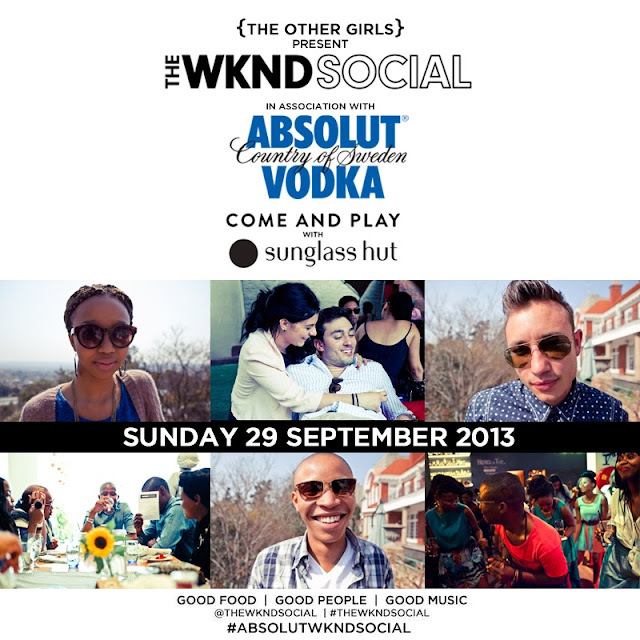 THE WKND SOCIAL is on again and this time The Other Girls, hosts of this monthly event, are inviting you to Come and Play with Sunglass Hut at THE WKND SOCIAL in association with ABSOLUT Vodka. Taking place for the first time on a Sunday (29th September), this event promises to have a twist. Think savoury macaroons, craft soft serve ice cream, delicious bottomless cocktails, self expression, fashion and a 90s soundtrack to add to the fun. Good Food, Good People and Good Music just got better! Tickets available online at Quicket.